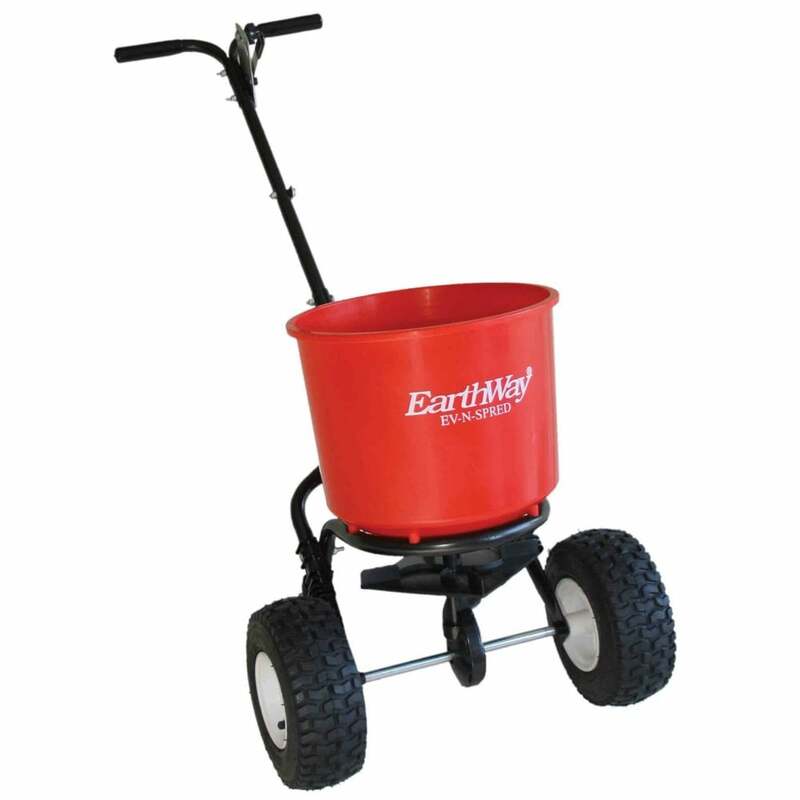 Specifically designed for spreading ice melts, rock salt, dry sand and other high volume application products. Areas are covered evenly at walking pace, using less salt than manual spreading. Tubular steel with Black epoxy powder coated finish. Foam handle for comfort grip. Durable polypropylene hopper, aperture keeps ice melts from hanging inside the hopper and allows quick dispersal of material. Spread rate control allows the user to determine the amount of salt released. Solid rod on/off linkage gears and high-speed gearbox. Mounted pneumatic wheels suitable for uneven surfaces. Supplied in component form and will require some simple self assembly. Also suitable for spreading fertilisers and seeds.